Meets M.U.T.C.D. 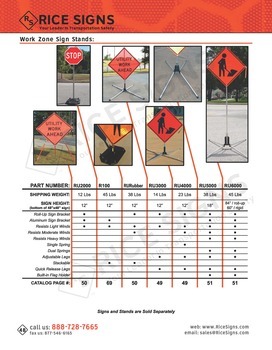 specifications and FLDOT specifications. 12" from sign to ground (with 48x48 sign). Works with metal, plywood, composite, and corrugated signs. 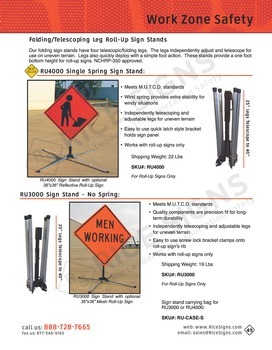 Also works with roll-up signs when configured with roll-up mounting bracket (RU2500-RU). 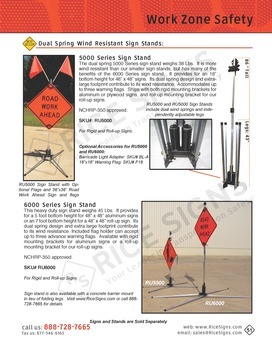 This heavy duty tripod stand holds aluminum signs. 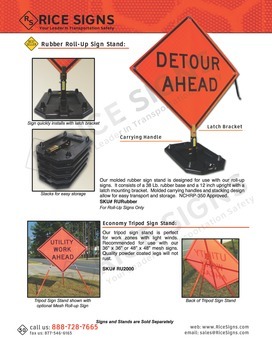 The RU2500-RU has an extra bracket to allow for roll-up signs.